Wu Yang and Liam Pitchford won both their matches to help Falcons TTC beat DHFL Maharashtra United 14-5 in the first semifinal of the inaugural Ultimate Table Tennis (UTT) at the NSCI in Mumbai last evening. The team that secures 14 points first is declared winner in the knockouts. Falcons had won the League meeting between the two teams by 17-10. Shaze Challengers will meet Dabang Smashers TTC in the second semifinal on Saturday, with the final to be played on Sunday. World No. 8 Wong Chun Ting of Hong Kong put DHFL Maharashtra United ahead with a 2-1 win over southpaw Sanil Shetty, ranked 201 in the world, in the men's singles (Foreign v Indian), the opening match of the tie. However, Chinese world No 13 Wu Yang brushed aside 279-ranked Pooja Sahasrabudhe Koparkar (DHFL Maharashtra United) 3-0 in the women's singles (Foreign v Indian) for Falcons TTC to move 4-2 ahead on points. 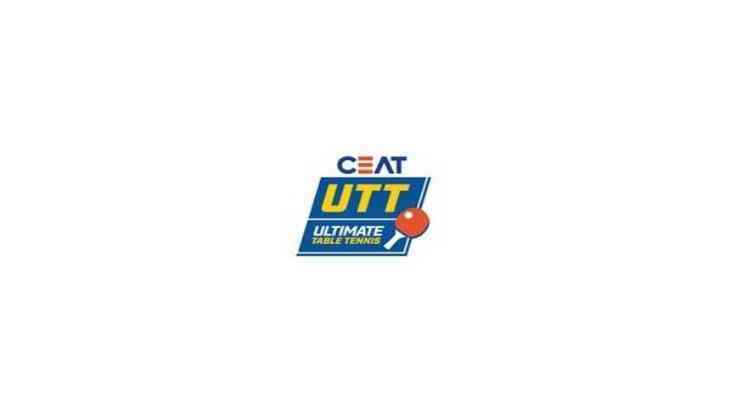 Up next was mixed doubles (Foreign/Indian pair) and DHFL Maharashtra United's pair of Harmeet Desai and the experienced Fu Yu edged out Sanil Shetty and his partner Lee Ho Ching 2-1 to reduce their margin of deficit to 4-5. Briton Liam Pitchford pulled off an upset win over Wong Chun Ting 2-1 in the men's singles (Foreign player category) to extend Falcons TTC's lead to 7-5. Chinese ace Wu Yang won her second outing of the day as she put it past China-born Austrian world No 22 Liu Jia (DHFL Maharashtra United) 3-0 in the women's singles (Foreign player category) to take Falcons TTC a step closer to victory, at 10-5. Liam Pitchford then won his second match of the day, beating Harmeet Desai 3-0 in the men's singles (Foreign v Indian) to move Falcons TTC to 13-5, one point way from victory. Sutirtha Mukherjee won the opening game against Liu Jia in the women's singles (Foreign v Indian) 11-10 to seal the tie for Falcons TTC. Earlier in the evening, Nita Mukesh Ambani, Founder and Chairperson of Reliance Foundation and India's only woman member in the International Olympic Committee (IOC) graced the occasion of India's first ever professional TT league, CEAT Ultimate Table Tennis, which saw players from DHFL Maharashtra United and Falcons TTC slug it out for a final berth here at the NSCI . Apart from watching the matches in the 1st Semi-Final, Mrs. Ambani also encouraged some of the Indian paddlers with inspiring words. She met with India's Olympian Sharath Kamal, four-time Paralympic Gold Medalist Natalia Partyka, Olympian Kim Song I and India's young sensation Archana Kamath.